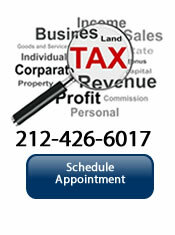 Do you need Quick ,Accurate Income Tax Preparation in Midtown West New York Area ? Is getting income Tax Preparation in Midtown West stressful. You have reached the right income Tax Company; we offer you access to 20 years experience providing accurate stress less tax return preparation. Our professional Tax Preparation firm offers New York Midtown West residents tax services that focus on you and developing winning income tax strategies that yield the highest refund possible and reduces your tax liability. it doesn't matter if you have a house or multiple homes, a store, a condo, stocks, bonds, an annuity or a small business; we can help you. MEJ offers you access to trained income tax preparers all year, they are dedicated to helping you get your Tax return prepared accurately and ensuring you receive all deductions, credits and rebates your entitled to the first time. 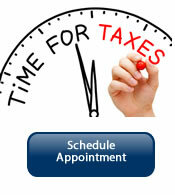 We also offer you the ability to get your Taxes prepared while your at home or work. If that does not greatly reduce your stress level this tax season, nothing will. Preparation of tax return for all prior years from 2009 to the present. Tax preparation for all states that require filing. Our income Tax prep fees are competitive and are based on your specific needs. We also offer Tax Preparation discounts for students and senior citizens. Please call 212-426-6017 to get a free quote for the tax prep services or setup an appointment to get your income tax return done. So, join the ranks with thousands of satisfied income tax clients we serve and ensure that you get the largest refund possible this year. Se Hablo Espanol Call for a setup appointment or walk in .